Music is field in which there is ample variety. A lot of people do not listen to radio but a whole lot of people do. Those people might not be familiar with indie or alternative music and its brilliant artists, and they might not be fans of rock music. Here is a list of ten amazing and emerging indie artists. 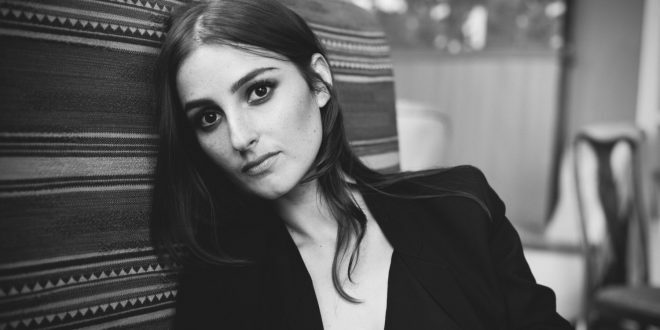 BANKS– Jillian Banks, better known simply as BANKS, is by far one of indie music’s most exhilarating artists. She gained much recognition for her 2014 hit song, “Beggin’ for Thread”, which is an electronic/ alternative R&B song that features trip hop, soft rock, indie, and alternative influences, like a lot of her other songs. She is not usually on mainstream radio or on the Billboard charts or nominated for awards. She did make the Billboard 200 as mentioned earlier, and she did make the hot rock songs with “Beggin’ for Thread” and other songs, like her recent single from her new album, “The Altar”, which releases September 30th, “Gemini Feed.” With this song, she shows her multifaceted nature of music as well. With her characteristically wistful voice, once again, and a bass-heavy, very electronic-inspired background beat, she reflects on a relationship, saying her lover thought he could get her to the altar. It has made number 25 on the Billboard Hot Rock Songs. Their new album is continuing that sound of theirs, and they have already released a few songs from it, including “Life Itself” and “Youth”, both songs that have distinctive sounds. Their latest album, “How to be a Human Being”, releases on August 26, 2016. X Ambassadors– This band is an alternative indie rock band from Ithaca, NY. 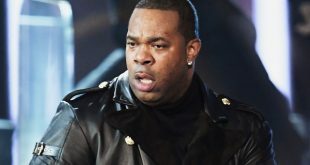 They had much success on Billboard Charts with their hit song “Renegades”, which reached 17 on Billboard Charts and their album with this song, “VHS”, reached seven. They also gained a considerable amount of radio play on alternative and mainstream music radio stations; where they on both platforms, alongside country singer/ alternative rock artist, Elle King. They also released another song, soon after, “Unsteady.” This song, a very emotive song about the speakers’ parents’ split, also became a regular on alternative radio and reached 39 on the Billboard Charts. Their latest album, “Every Open Eye”, was named one of the 50 best albums of 2015 by Stereogum and NME. It received an “A” from the entertainment website, “The A.V. Club”, and 4/5 stars from Billboard. The album featured songs like “Leave a Trace”, “Empty Threat”, and “Bury it”, which features Hayley Williams of alternative rock band Paramore. Not many people, aside from alternative/ indie listeners know CHVRCHES and it does appear on alternative radio, but it is not promoted through mainstream radio. Halsey– Ashley Frangipane, who goes by the name Halsey, is an indie pop singer. Alongside other indie/ alternative pop singers live Tove Lo, who is a mainstream artist now, and emerging artists like Aurora, Kiiara, and Grace Mitchell, Halsey has her own sound. With a distinguishing electro-pop sound that is compared to CHVRCHES’ sound, Halsey’s first song to be featured on the alternative radio was “Ghost”, a slower electro-pop song describing a relationship where Halsey uses the metaphor of a ghost to describe her emotionally detached lover. Her most popular song is probably “New Americana”, an alternative pop song that deals with the adoption, deviance to what people consider “normal”, and acculturation in this age. The song deals with ideals of marriage equality and alcohol marijuana usage. Her next single was an electro-pop song called “Colors”, whose video stars “Teen Wolf” actor Tyler Posey, and a sensuous, slower electro-pop song called “Castle”, which was featured in the film, The Hunstman: Winter’s War. More exposure to “Spirits” would be wonderful in so many ways. Let the world look forward to keeping newfound music discoveries alive in all shapes and sizes! Bishop Briggs– Alternative rock and indie artist Bishop Briggs has had a extraordinary hit with her song, “River”, which reached 14 on the Billboard Rock Charts, five on the Rock Airplay, and seven on the US Alternative Chart. “River” is a stirring, upbeat alternative song with subtle electronic influences. Characteristic of Bishop Briggs, the music waves to featuring dubstep-like and electronic beats. She performed the song on The Tonight Show, which is hosted by Jimmy Fallon, and it was instantly also a commercial hit. The song “Wild Horses” was recorded under her former name, BISHOP, which she changed because it coincided with a metal band. “Wild Horses” is another alternative song that features a dubstep-like beat at the end of the chorus. Misterwives– Misterwives is probably a name you do not know. Led by lead singer Mandy Lee, this indie pop band is undoubtedly the epitome of fun in music. Their debut single, a really energizing, genuinely happy, and upbeat song, “Reflections” served as Misterwives’ debut single. It gained a small amount of radio play on the alternative radio but charted on the Billboard Rock Chart at 13 and on the Billboard Hot Modern Rock Tracks Chart at 31. It also reached number 14 on the US Alternative Charts at Billboard.com. In the words of Garrett Kamps of Billboard, the song is a mix of “Weezer and the Bee Gee’s.” Weezer is an indie rock/ punk rock band led by Rivers Cuomo and is still going strong, while The Bee Gee’s are not making music anymore but were a pop, soul, disco, and funk music ensemble. The another really joyous and bouncy song by the band is “Our Own House”, which was released in 2015. The band has become attributable to a happy alternative, indie pop and dance sound. JR JR– is an indie duo that hails from Detroit, Michigan. The indie rock duo is known mainly for their recent song, “Gone.” “Gone” hit alternative radio in the middle of 2015. It gained considerable radio play and was charted at 38 on Billboard’s US Hot Rock Songs, charted at number 17 on the Billboard Rock Airplay chart, and charted at 11 on the US Alternative Songs on Billboard. The song itself is accompanied by a bizarre music video that shows people being detached from limbs and running around, frolicking. On JR JR’s own website, the duo promoted the song, expressing that they were also very proud of their efforts on the song. Aurora– Aurora Aksnes, or simply, AURORA, is a Norwegian alternative pop singer. 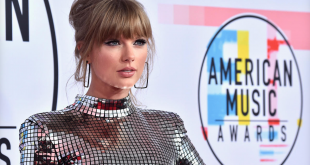 Her most recent album is called “All My Demons Greeting Me as a Friend.” The album was given an A- by Entertainment Weekly and 80 of 100 from Metacritic. It has reached number 150 on the Billboard 200 Albums Chart as well. It contains the alternative radio hit “Conqueror.” This 1996-born, young and promising breakthrough indie act managed to put forth an alluring and amusing song with “Conqueror.” The song says, in the chorus, “I’ve been looking for the conqueror, but you don’t seem to come my way.” In February interview with iHeartRadio’s Nicole Mastrogiannis, Aksnes said, “‘Conqueror’ is about a world that is falling apart around you, and you’re looking for a conqueror to save you.” Her newest single is called, “I Went Too Far.” It is reported on the song’s Genius.com page that AURORA has said in a BBC interview that the song encompasses those moments when we go too far for love. At her tender age of 20, AURORA is managing to wow people, and has a career ahead of her that promises great things and great music!